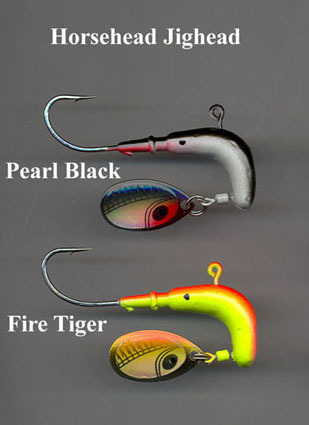 Floating Jigheads, Perch Pattern: Similar to the jigheads above but with extra long shank hooks. Originally designed for “popping up” pieces of fish strip for zander and eels in crayfish infested waters but also lend themselves to all the above applications. We have been testing both sorts for a little over a year and have had some stunning results. Another application is to run them 12” behind a drilled buckshot with a small shad which keeps the shad just above the silkweed. Floating Jigheads: Use these floating jigheads to give twisters, grubs and shads a third dimension. 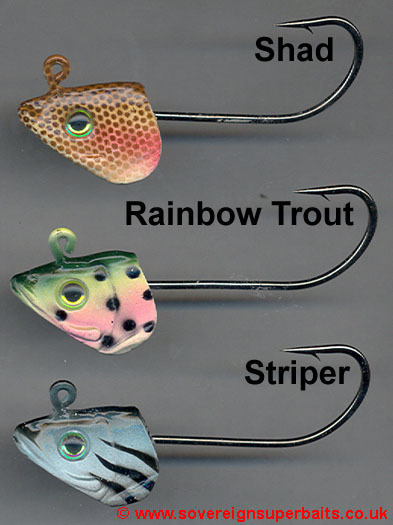 Small soft baits can be worked right on the surface using these jigheads while medium sized soft baits can be made to suspend. Two fantastic ways of catching chub and other shy predators. 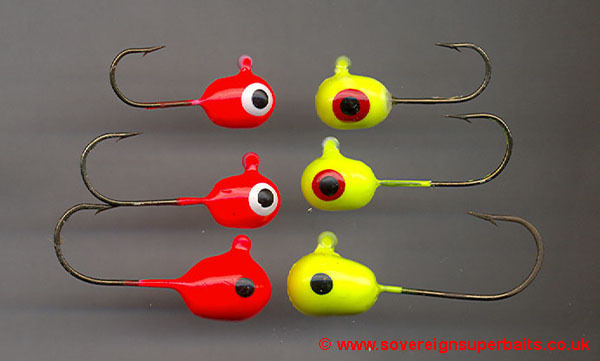 These horsehead jigs are fitted with O’Shaughnessy hooks and holographic spinner blades for attraction. 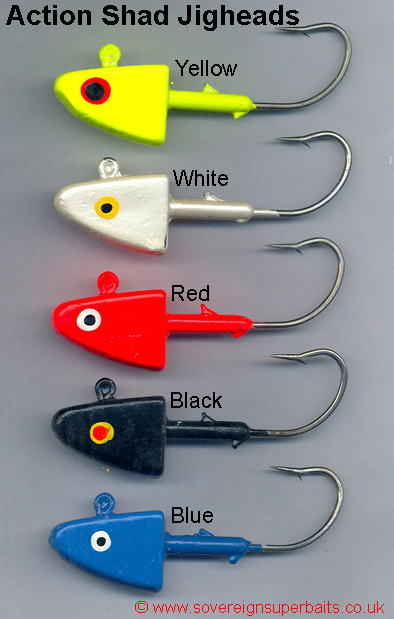 They can be used with soft baits, dead fish, worms etc and are available in the two colours shown below.